Fury is the essence that defines the universe. We see it separated into elemental forces of Fire, Water, Air and Nature and we see it raw and essential as Fury. Understanding this paradox of four elements coming from one is perhaps the key to understanding what remains of our universe. The Makers, in their wisdom, have left us little information on Fury save the secrets that allow us to put it to use in keeping Sanctuary from falling. It seems they wanted us to learn more about it for ourselves. However, I believe it will be the Chosen who deliver this knowledge. They are the ones who can travel to the war zones. They are the ones who can bear the elemental charges in combat. They are the ones who, with their skillful action in battle, through some unknown and perhaps unknowable rite, unleash and deliver the Fury to us. * Players are one of the Chosen - ancient heroes who have lived a thousand lives and fought in countless battles. The world itself has been shattered and the few fragile remnants are floating within a void between the elemental planes. The Chosen’s goal is to dominate opponents from other realms in order to ensure their home realm’s survival. * Fury’s avatar system breaks away from the traditional RPG class system. Players are empowered to develop their avatar in as many ways as they like via Fury’s unique approach - Incarnations. 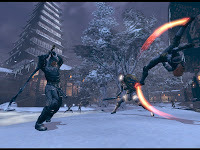 Furthermore, players are able to change their avatar’s incarnation between fights so, for example, a player can be a warrior when fighting in a solo event and then choose their healer incarnation when competing with their guild. * Avatars advance and become more powerful by completing trials to recover ancient memories. Trials focus on PvP challenges. This means players can advance their avatar by playing the way they enjoy the most, not by grinding. 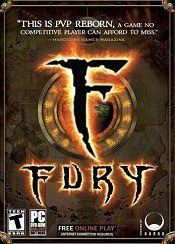 * Fury is founded upon a unique combat system that emphasizes fast pacing, meaningful decision making and strong team tactics. Fury’s combat blends the best elements of the FPS and RPG genres. Gameplay is further enhanced by an innovative system of Elemental Energy that ensures more dynamic gameplay. * Fury introduces new server architecture to foster strong bonds between players, groups and guilds; this will avoid the pitfalls of other games. All players in a Realm (server) are competing not only for themselves and their guild, but also for the good of their entire realm. Each realm competes against the other realms in instanced War Zones. What this means is that you and your realm mates can fight against up to one million foes spread across all of the other realms. * War Zones are areas where players battle against enemies from other realms. Within the War Zone players enjoy the thrill of killing enemies, the tactics of the varied game types and the satisfaction of earning significant rewards.